Lee Hyun (Yeo Jin Gu) is the king of Joseon Kingdom. He lives in fear of palace intrigues, betrayals and assassination. 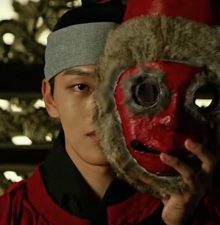 To protect the king, a clown named Ha Son (Yeo Jin Gu) who looks almost identical to Lee Hyun is brought to the palace to take the King’s place. this is a good drama of 2019 good job YEO JIN GU.I really like it when this kids act as a prince his good on it. ehm,i tried downloading this series,buh it ain’t downloading I tried several times,any body to help?